Quinvaxem, being offered at no cost to recipients by UNICEF, is a pre-qualified vaccine on trial in developing countries. Currently being given to babies as young as eight weeks of age, this pentavalent vaccine is said to protect infants and young children against diphtheria, tetanus, whooping cough, hepatitis B, and Hib (haemophilus influenzae type b). Although deaths have been reported from Vietnam, Sri Lanka, Pakistan, Bhutan and India, the World Health Organization (WHO) has stood by the safety of Quinvaxem, stating that all their studies of the vaccine, made in South Korea, affirm its safety! Once again, here is another example of children dying and many others suffering horrific side effects from a vaccine being tested on vulnerable children in developing countries. Isn’t it about time the WHO stopped pretending that they are in the business of protecting children and admitted to the fact they are instead part of a world depopulation program? She saw all these atrocities coming before many others and has been desperately trying to warn the public, ever since. It is quite possible that many of these children have suffered an autoimmune response after being vaccinated with this vaccine. I back up this opinion with a variety of articles and papers on Kawasaki disease. In 1967 Tomisaku Kawasaki described 50 Japanese children with an illness characterized by fever, rash, conjunctival injection, erythema and swelling of hands and feet, and cervical lymphadenopathy … KD is commonest in Japan where more than 125 000 cases have been reported. The disease is also commoner in Japanese and other Oriental children living abroad. Children aged 6 months to 5 years are most susceptible, with peak incidence in children aged 9–11 months. Seasonal variation in the disease incidence has been reported, with peak occurrence in the winter and spring months. Direct person to person spread is not observed, although in Japan the disease occurs more commonly in siblings of index cases with an estimated peak incidence of 8–9% in siblings under the age of 2 years. If you read the above statements carefully, you may recognize that the ages of children at highest risk of contracting the disease are the precise age at which they receive the highest number of vaccines. This paper was written in 2003, so, why isn’t the link between vaccination and KD being thoroughly investigated? Although the authors concluded that their review did not suggest an elevated KD risk for RotaTeq or other vaccines, they suggested the continued post-marketing monitoring for KD was ongoing. All of these papers suggest that continuous multiple vaccinations may possibly heighten the risk of young children developing this disease. I have only offered a selection of many papers for readers to study. If a group of people collapse after eating, say, lemon sole,in a particular restaurant, it would be ludicrous for those responsible to wave a hand over the problem saying that millions of people eat Lemon Sole every day and there are no problems. Health and safety officials will get straight to the point of the issue and look at the fish in the restaurant, look at the individuals, test findings in the lab. As hundreds of parents have found their children to react to vaccine, in some cases leading to the ‘new variant autism’ of loss of communication skills, motor impairments and bowel problems, is it not these cases the government should be looking at for answers? The incidence of this particular tapestry of autism is indisputable. This is not related to increased recognition of autism, The TYPE is unusual and baffling to education and health professionals. In one of my cases of very obvious and indisputable reaction to pertussis vaccine the child in question has been found to have Kawasaki disease, her own immune system attacking itself. She presents as Asperger. There is no autism in the family, but the baby had allergies prior to the vaccine. It is scientific examination of cases like this which will enable us to ultimately put measures in place to reassure the public. I have chosen to include her excellent contribution because it really does have some very strong and firm advice for organizations such as UNICEF who offer vaccinations to vulnerable children like sweets. Like Dr. Carley, Ms. Blakemore-Brown’s work has also been discredited. You have to wonder why, don’t you? Both of them are talented, gifted professionals, sharing similar concerns across opposite sides of the world, along with hundreds of others professionals saying exactly the same statements, many of whom in recent years have become targets of vicious hate campaigns, before having their careers sabotaged. 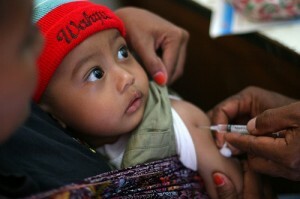 It has become second nature for the likes of WHO and UNICEF to offer free trial and banned vaccinations to the poor and vulnerable populations in the developing world. These are God’s children, too, and they are very precious. They are not lab rats or guinea pigs to be tested at leisure. They are like any other children; they have brothers, sisters, mothers, fathers, aunts, uncles and grandparents who love them dearly. Their innocent parents believe the propaganda being fed to them by the likes of UNICEF. They believe that these vaccines are safe and will protect their precious babies. Instead, their children are dying the most horrific deaths after being given pre-qualified vaccines. 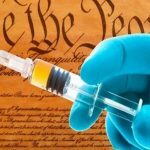 Lisa Blakemore-Brown was right when she said, “Blanket refusal to look at the real issues and prevention of individuals exercising choice seems a dangerous policy.” Isn’t it about time to look at the real issues surrounding vaccination and stop testing innocent and vulnerable communities with pre-qualified vaccines which are unfit for any purpose? Christina England is an accomplished vaccine and child abuse researcher. Ms England has been a guest on many radio shows and has spoken at seminars worldwide. She is the co author to the book ‘Shaken Baby Syndrome or Vaccine Induced Encephalitis – Are Parents Being Falsely Accused?’ with Dr Harold Buttram. PreviousIs Hemp a Miracle Plant That Can Save the World?